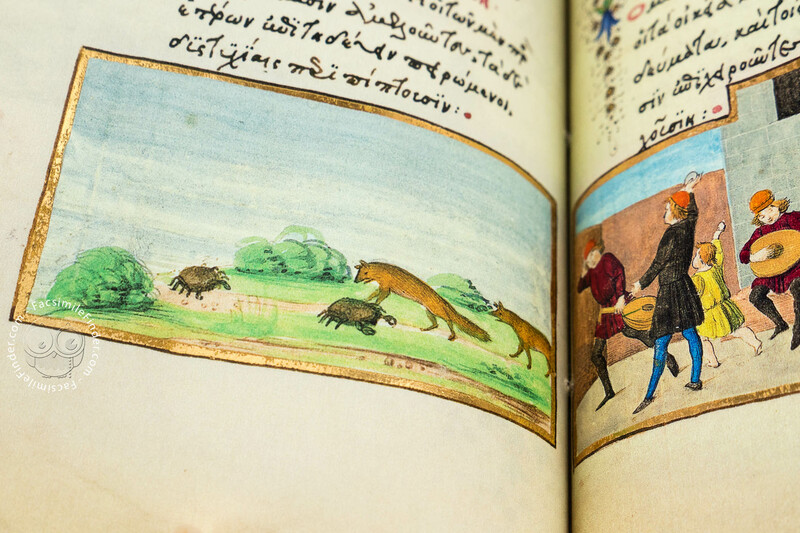 The codex in the New York Public Library (Spencer 50) is unquestionably the most strikingly attractive and lavishly illustrated version of Aesop’s Fables to emerge from the Italian Renaissance. 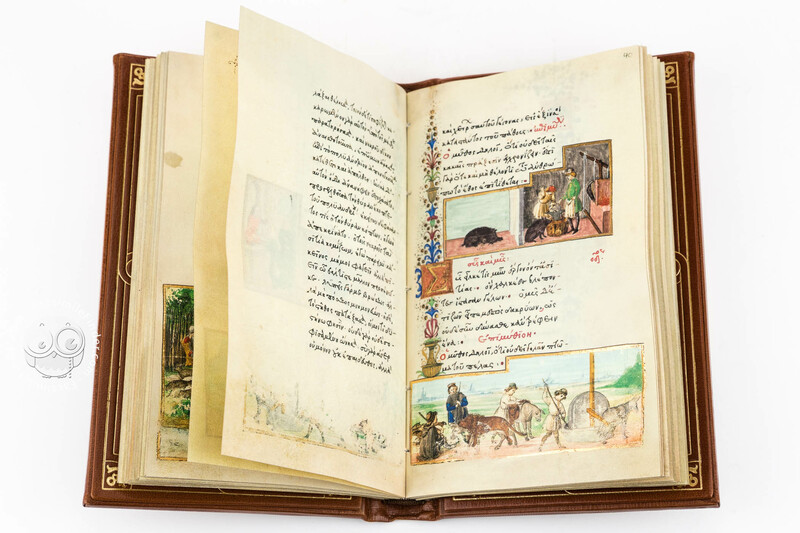 It was created during the latter part of the quattrocento period in Florence, at that time under the rule of Lorenzo de’Medici (1449-1492), who appears to have personally commissioned this work. 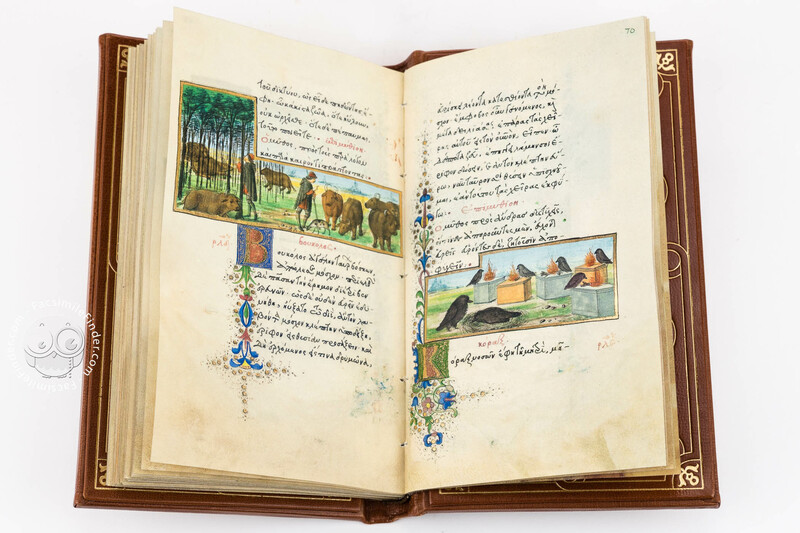 It first appears in a catalogue of the Medici library compiled in 1495 and almost certainly was intended for Lorenzo’s son, Piero(1471-1503). 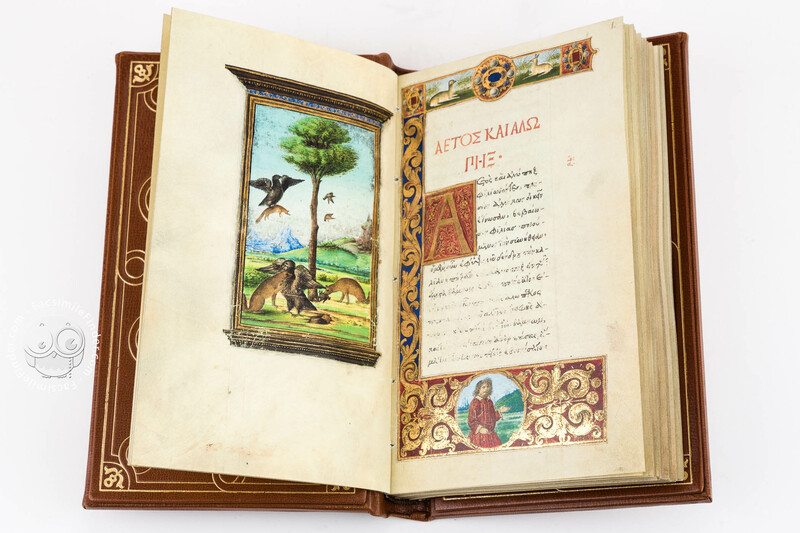 The fables are recounted in Greek, a language that Piero learned from his tutor, the celebrated humanist Angelo Poliziano, who may well have influenced the design of the codex and textual matters. 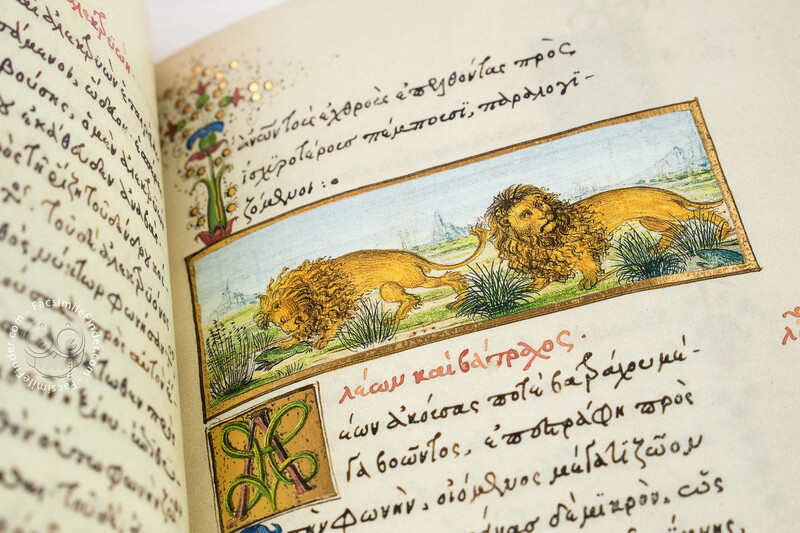 The text itself was copied out by Demetrios Damilas, a scribe retained by the Medici household who specialized in Greek manuscripts. 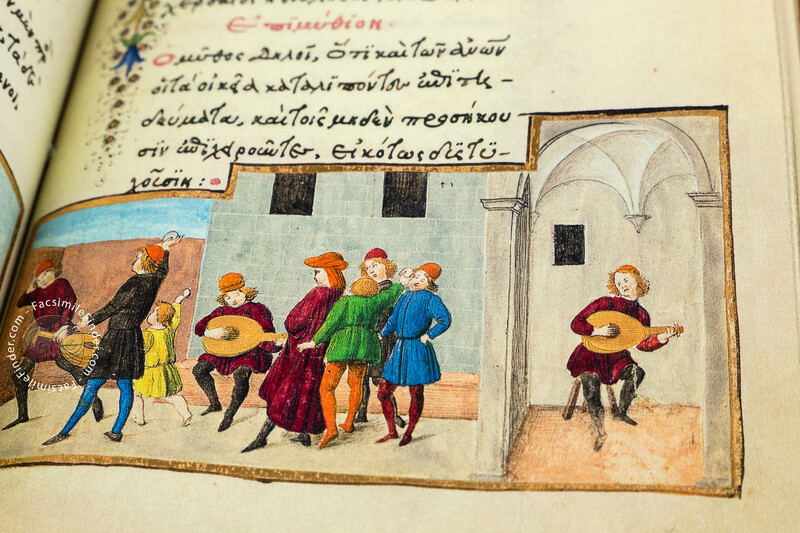 Damilas was involved in the making of another lavish Greek codex commissioned especially for Piero de’Medici, an edition of the works of Homer printed at Florence in 1488-89 and illuminated by Gherardo di Giovanni di Miniato. 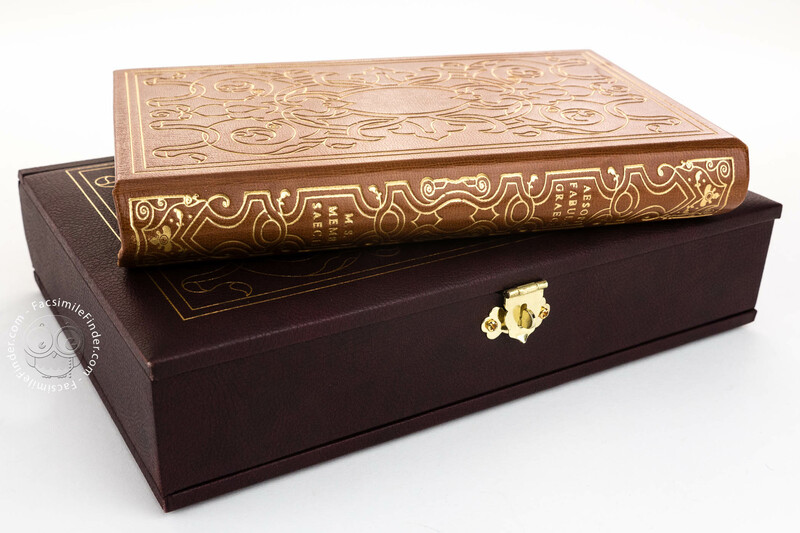 MS Spencer 50 is a small and charming volume measuring 200x120 mm., consisting of 150 pages. 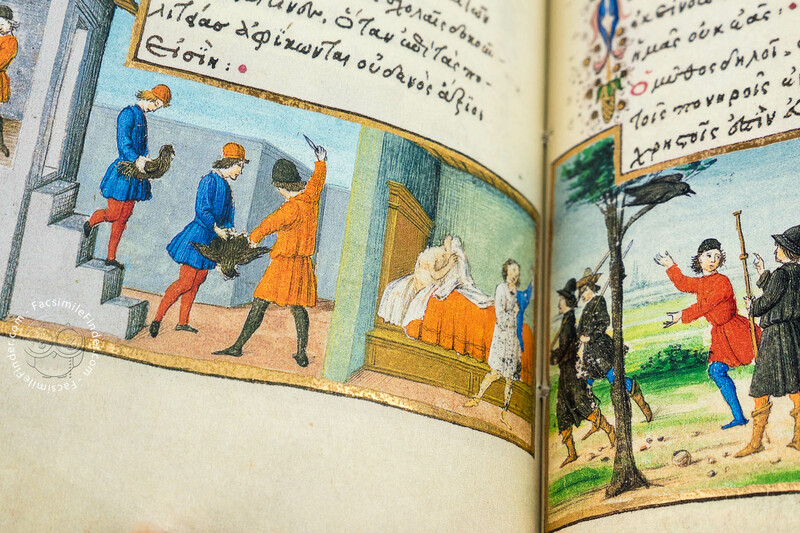 Each of the fables recounted is illustrated by a miniature. 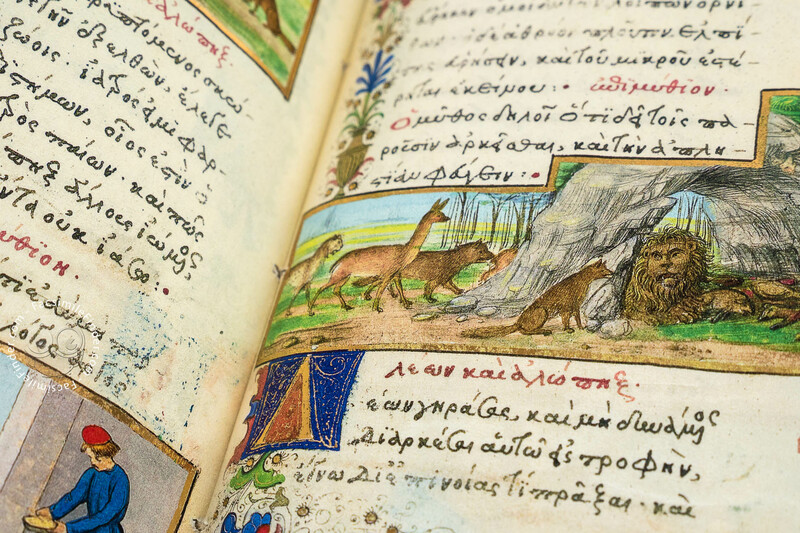 Originally, the codex included 147 fables; of these, 135 miniatures have survived, in addition to the frontispiece portrait of Aesop, and 132 complete fables. 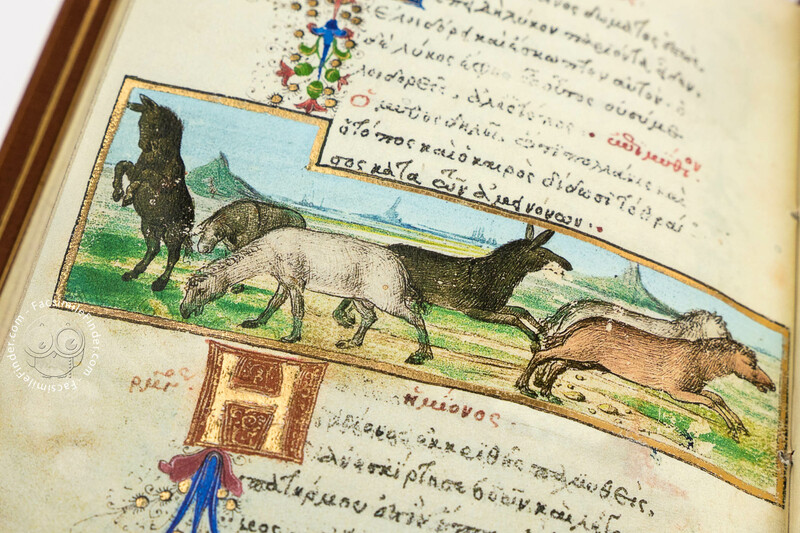 By comparing this with other Greek manuscripts of Aesop’s fables from the Florentine mid-quattrocento, it has been possible to establish a complete listing of the original 147 fables and identify those which are missing. 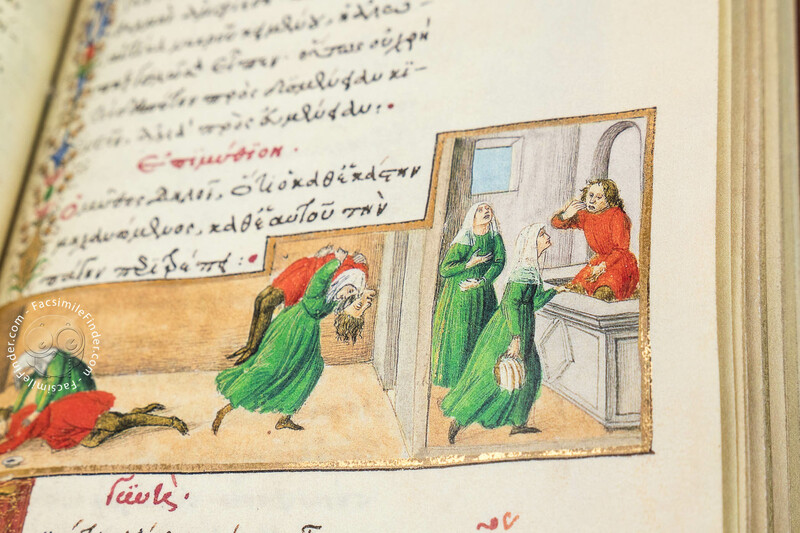 These issues are discussed in the accompanying volume of scholarly commentary, a sure help for the reader interested in situating these miniatures in the cultural context of late quattrocento Florence. 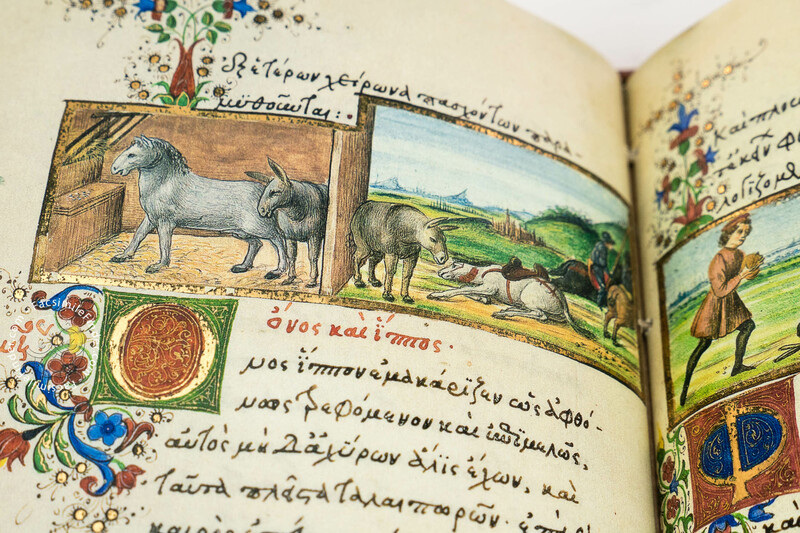 Listed in the inventory of Greek books in Lorenzo de’ Medici’s library, it was known that the first part of the Medici Aesop contained a Life of Aesop. 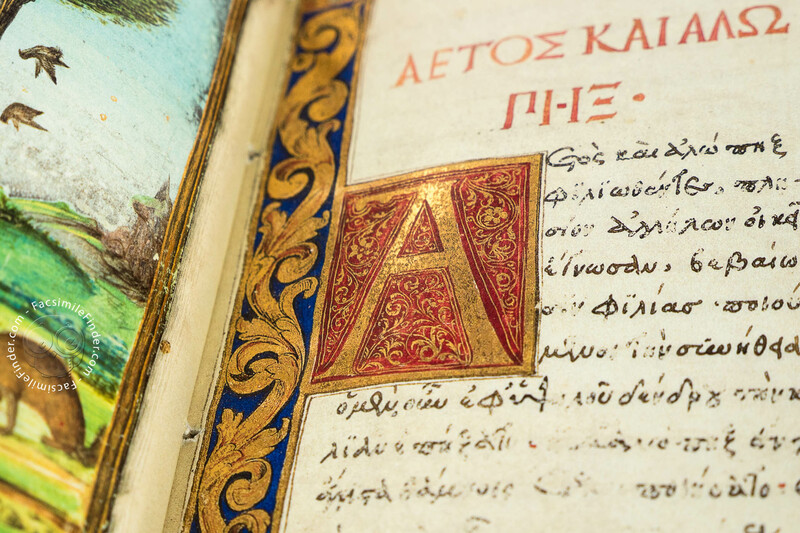 This text had been long accounted for until just recently, when it was found in a private collection by Dr. Ada Labriola, the author of the commentary study. 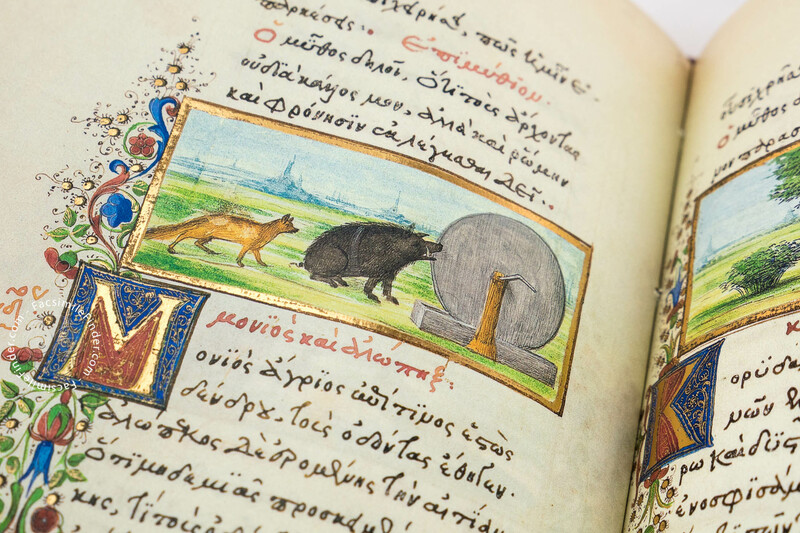 That remarkable and timely discovery made it possible for the full-page miniature that corresponds to the first fable, The Eagle and the Fox, to be incorporated into the facsimile and restored to its proper place at the beginning of the codex, coming just before ff. 1r-2v. 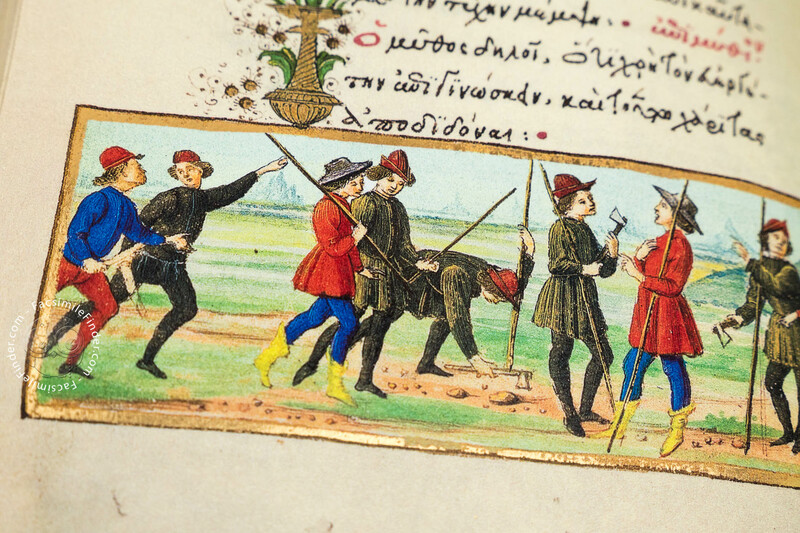 Several illuminators of undoubted talent participated in the illustrations for the Medici Aesop, associated with two of the principal workshops active at the time, those of Francesco di Antonio del Chierico and Mariano del Buono. 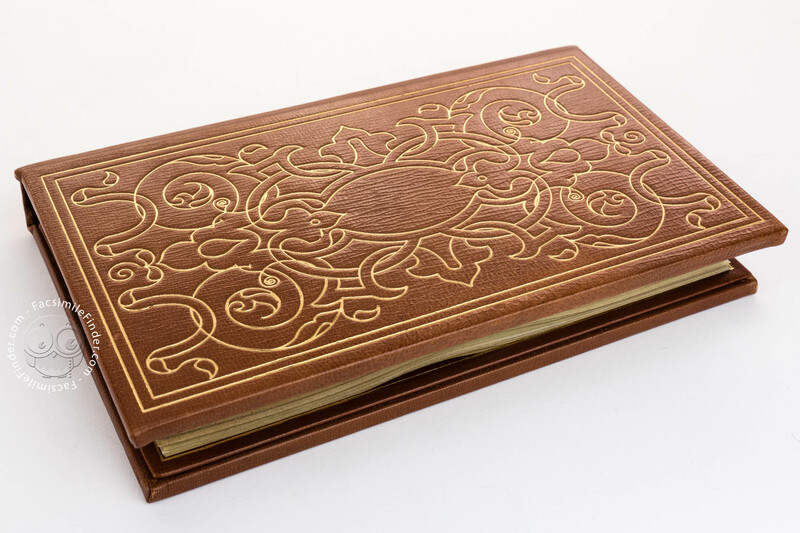 Although several hands were involved in its production, it nonetheless adheres to a single figurative scheme. 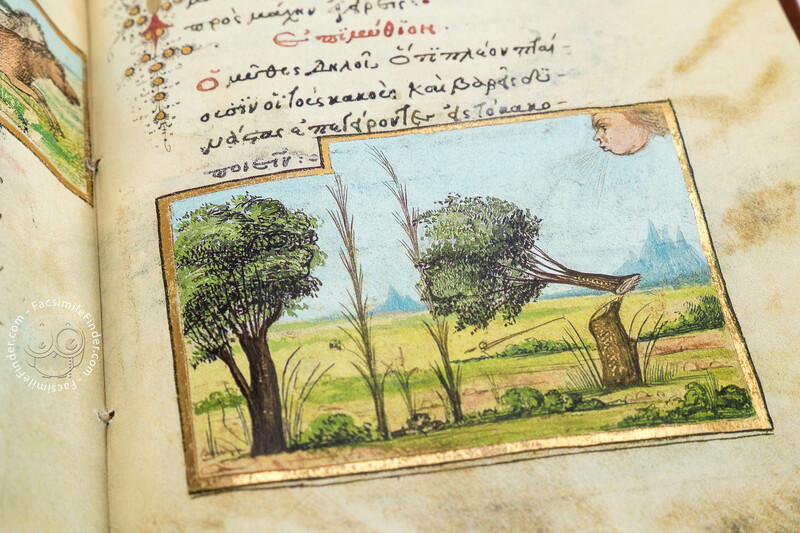 That was one requirement for illustrated manuscripts of particularly high quality, such as the Bible of Federico de Montefeltro now in the Vatican Library. 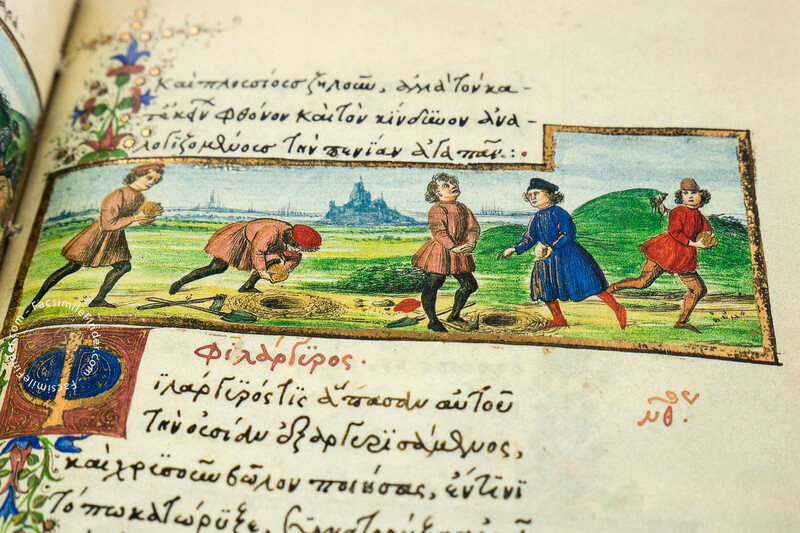 Manuscript book on parchment − 20 × 12 cm − 150 pp. 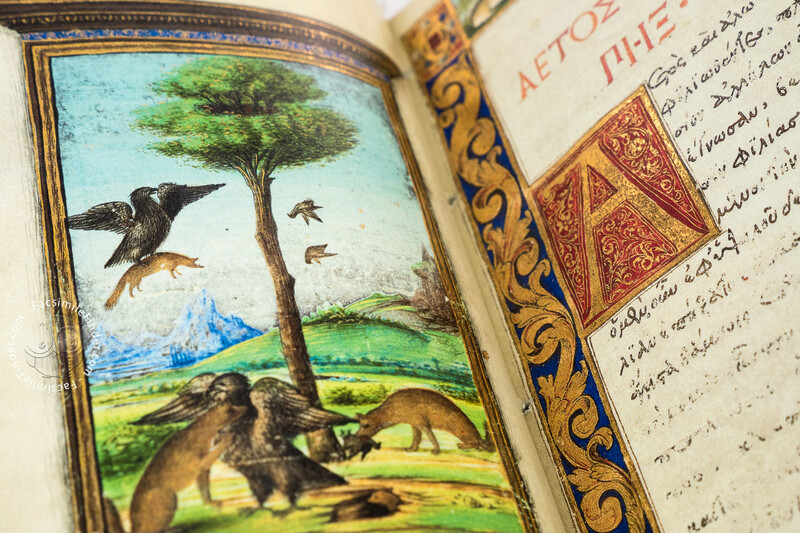 Full-size color reproduction of one or more portions of the original document, Medici Aesop: the facsimile attempts to replicate the look-and-feel and physical features of the original document; pages are trimmed according to the original format; the binding might not be consistent with the current document binding.